France may appear in the European Court of Justice in just two months if the country’s authorities fail to tackle high levels of air pollution in 10 areas, including Paris, the European Commission has warned. “The European Commission has asked France to comply with EU legislation requiring Member States to limit citizens' exposure to fine dust particles (PM10) by defining specific limit values to be observed,” the commissionsaidin a statement on its website on Wednesday. These tiny particles are some of the most dangerous to public health and can cause asthma, allergies and other respiratory ailments. Estimates from French authorities show “that the air pollution problem persists,” according to the EU body. Maximum daily limits have been recorded in 10 zones, including Paris, Marseille, Lyon and Nice. If France “fails to act within two months, the Commission may take the matter to the EU Court of Justice,” they concluded. In March, Paris was gripped by massive smog and the authorities introduced emergency traffic restrictions. Half the capital’s drivers were temporarily banned from the streets. 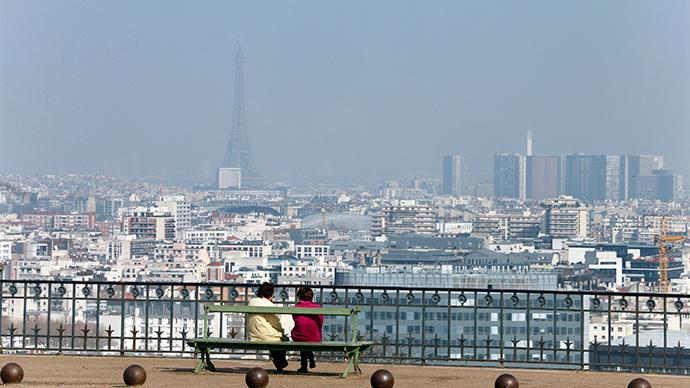 A map of air quality in Paris and other French towns often shows that numerous locations are smog-bound and have dangerous level of particles.